← What Can You Leave Behind? 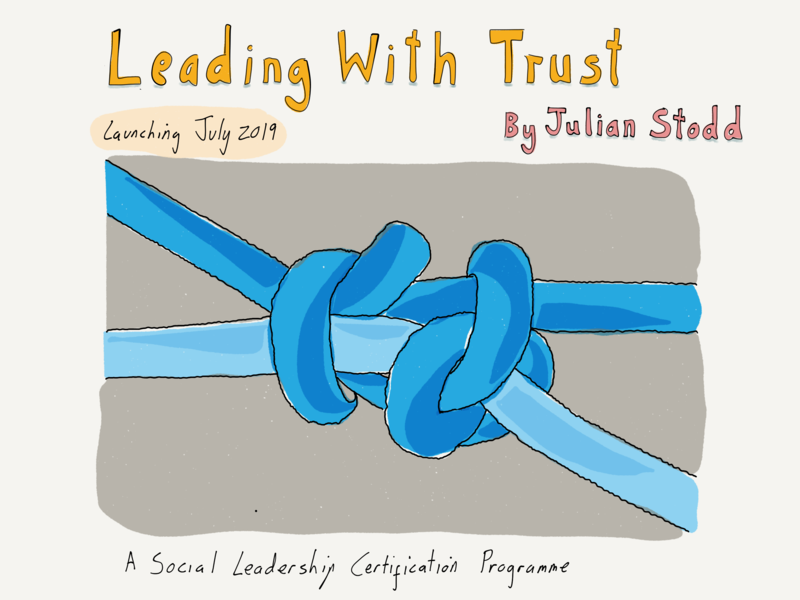 As i work towards a new programme, ‘Leading with Trust’, i fall into the predictable trap of trying to represent something intangible, subjective, and elusive. Sometimes the metaphor that one can illustrate is simple: the Social Age requires a map. And the Landscape of Stories is around a campfire. But trust is more complex perhaps? Too easy to reduce to trite euphemisms and images. Probably a trap i am about to fall into. But currently, i’m considering a knot. Knots are, themselves, convoluted, both intentionally, and metaphorically: they represent safety, but also imprisonment. We tie things both ‘up’, and ‘down’. We ‘tie the knot’ when we are married, but get caught in knotty problems. This image i like: that as a leader, we learn knots that hold us safe, and perhaps we learn how to untie the things that bind us. But it’s not a uniformly positive image, and perhaps that is itself suitable for trust, because it’s forces of ‘trust’ that can hold us in toxic spaces too. Trust, whilst a unifying force, can also be a binding one. And can hold us in spaces that we would be best out of. So for now, as i start to build out the programme, i will play with knots. But perhaps in time, we will cast ourselves loose from this metaphor, and hitch up to a new idea. This entry was posted in Trust and tagged Knots, Leadership, Metaphor, Social Leadership, Trust. Bookmark the permalink.